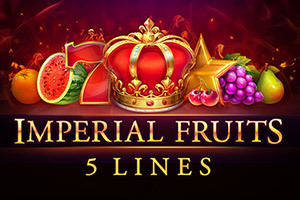 A classic fruit slots collection introducing the new feature symbol Wild Crown, which expands to increase the chance of composing a winning combination. 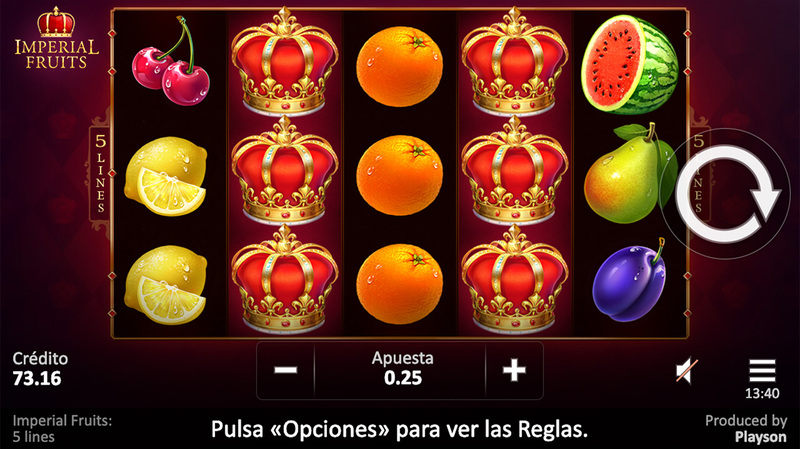 This video slot features 2 types of Scatters: Gold Scatter, and Diamond Scatter. Scatter wins pay regardless of pay lines. Red sevens are to bring the highest payout. And the rest of the symbols will bring some fruitful combinations for sure. Wild symbol substitutes all symbols except Scatters. Expands on the whole reel, if it can compose a winning combination. Appears on the reels 2, 3 and 4. Scatter wins are paid independently of bet lines. Appears on the reels 1, 3 and 5.